Ahmedabad : Mrs. India 2015 Priyanka Khurana Goyal visited Ahmedabad on March 19 to create her portfolio in the run up to win the next Mrs. Earth Contest. The pageant will be held in October 2015 in Jamaica. Well known Fashion Photographer Vijay Kabra shot the portfolio at traditional locations of the city. The two days there were spent in different outdoor and indoor photo shoots. Furthermore Priyanka visited hospitals and participated in social activities and organized awareness for the “Save Girl Child” campaign, to inspire married Gujarati women. Priyanka also mentions that before representing India at the global platform of Mrs. Earth, she would like to get a first-hand experience of the diverse cultures of India and visit places of historic and traditional value, in different states, starting with Gujarat, Rajasthan and Bihar. Priyanka Khurana Goyal, an IIM-C alumna of the batch of 2006 won the Mrs. India 2015 pageant. Priyanka, Vice President, Nomura Securities, became the first Investment Banker to win the pageant. The pageant was organized by Handicap Children and Women’s Aid which promotes community service for Women Empowerment. Priyanka, mother of a 2 year old child, was also awarded as Mrs. Popular by the fellow contestants. Priyanka will now walk down the ramp at the prestigious Mrs. Earth title in October in Jamaica. 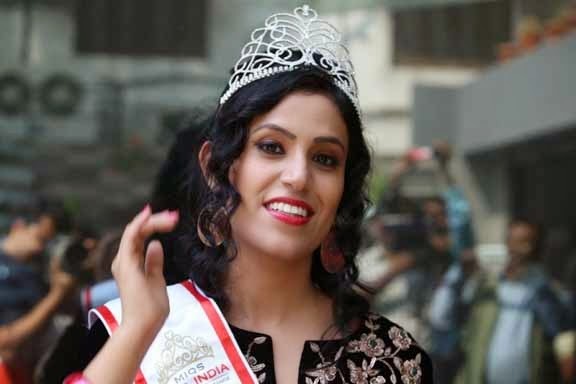 Mrs. India Priyanka Khurana Goyal says, "The Mrs. India 2015 title was a keenly fought competition with 7 rounds - interview, talent, introduction, bridal, traditional, evening gown, tennis wear and question-answer round. Winning the title gives me a voice and a platform to express my views on social issues that I strongly feel about. I want to be an inspiration to all the women who wish to pursue their aspirations of being an all-round personality with multi-facetted interests and hobbies."